When Should Teens Start a Savings Account? As soon as a teenager begins to spend the money that they earn, they should start considering opening a savings account. According to an ING Direct study, a surprisingly large percentage of teenagers amounting to approximately 83% admit they are clueless when it comes to how they should be spending their money. Some teens can receive small allowances each week, in return for completing chores throughout the house. Yet there are fewer parents who have been giving their teenagers money, and may even consider the prospect of chores as something that is more of a responsibility rather than an optional task nowadays. Therefore, this option may not be the easiest opportunity to earn money, and can only depend on what a parent’s perspective of allowance is. Teens can babysit or tutor their neighborhood’s children, if there are any parents actively searching for either a babysitter or tutor. Teens who enjoy being in the presence of young children may find this option the most appealing, but it does require knowledge on the academic subjects the child may be having trouble with, and how to take care of children in general. Some retail stores or fast-food restaurants are willing to hire any teenagers vying for the occupation. Teens can learn some basic skills such as how to operate a cash register or how supplies can be properly stored. Retail stores and fast-food restaurants offer small salaries and a daily schedule that can help any teen become slightly more organized. Any small tasks teens can complete around their local neighborhood can help them earn some extra cash. Some conventional examples do include, but are not limited to: washing neighbors’ cars, mowing a neighbor’s lawn, and offering cool refreshments to anyone passing by that may look dehydrated. This option does not earn as much money for a teenager than the other aforementioned ones, and are more of temporary solutions. Teenagers who earn the money from these jobs end up spending it rather than saving. Teenagers who are interested in their future should open a savings account to pay for their dream college and the expenses that eventually come when they reach adulthood, such as purchasing an apartment or paying their bills. Once a teenager signs up for a saving account with their chosen bank, they can begin depositing the money they earn into their account. A savings account can even limit the number of withdrawals to six per month, which can keep teenagers on a reasonable budget instead of splurging most of their money on shopping sprees. Savings accounts also come with interest rates. An interest rate can be beneficial to a teen if they earn it correctly. Savings accounts add a certain amount of money to the current balance if it has been deposited there for a certain period of time. The amount of interest a teenager can earn in their account depends on how much money they have deposited into their account, the bank they created a savings account with, and the general interest rate of that aforementioned bank. A teenager must also keep in mind that they would have to pay a fee if they do not maintain a minimum balance on their account that some banks can require, but not all. Capital One 360 Savings Account is a superb option for a teenager because there is no minimum balance or deposit that can come with most banks. Teenagers can also find their Automatic Savings Plan extremely helpful, which transfers money automatically to the account and can be adjusted or stopped at any time. The interest rate is only 0.75% per year, which may sound small but will have money growing in no time. The Barclay Dream Account is an online banking account option that will earn the most interest. If deposits are made continuously for six consecutive months, there will be a 2.5% bonus on the interest earned. If no money has gone through withdrawal for six consecutive months, another 2.5% bonus will also be added on the interest earned. It also promises no monthly service fees have to be paid and there is no minimum deposit number to open the account. All of Ally Bank’s accounts can be opened as a custodial account, meaning that a parent will have control over the account until the child they’re saving for becomes 18. In-trust accounts can also be opened, meaning the income can be split between a parent and their child once the child reaches legal age as well. Ally Bank doesn’t require a minimum balance when opening an account and no fees have to be paid monthly. The interest rates vary depending on which account a teenager and their parents decide to choose. CDs, or certificates of deposit, are also a viable choice in Ally Bank. Samantha Cueto is a teenager herself. She is a rising sophomore at Dominican Academy in Manhattan. 5 ways to use your refund wisely and make it work for you. More than 50% of all marriages fail. After a divorce, the average woman sees her standard of living drop by as much as 30%. The average age of widowhood is 56 years old. The poverty rate for elderly women is twice that of elderly men. Fortunately, it’s never too late to start investing or to invest more! Of course, the steps you need to take to ensure that you have enough money during retirement depend, in large measure, on your current age and situation. Here’s a breakdown of some things to consider, depending on just how long you have until retirement. As a group, younger women tend to be savvier than their older sisters about managing their money. And that’s a good thing because getting an early start is half the battle. During your younger years, the key is to save whatever you possibly can. That’s because the magic of compounding becomes all the more powerful the longer your time horizon. Consider this: If you save money throughout your 20s and then quit saving at 30, chances are you’ll come out dramatically ahead of someone who starts saving in their 30s and contributes for twice as long. Perhaps, surprisingly, for a generation of women who accomplished so much in the workplace and in politics, boomer women are less in charge of their financial lives than their younger sisters. Older baby boomers are starting to set their sights on the end of their working days. But for many women of this generation, early retirement isn’t a likely option. In fact, many will have to work longer or even take on a second job to make up for years of poor retirement savings. Recognizing that many people are nearing retirement unprepared, the government is making it easier for them to save. Folks aged 50 or older will be able to make slightly higher contributions to their IRAs via “catch-up” contributions of up to $6,500 in 2014. Increased contributions will also be permitted in 401(k) accounts. This might not sound like a lot, but over several years, it can make a big difference. 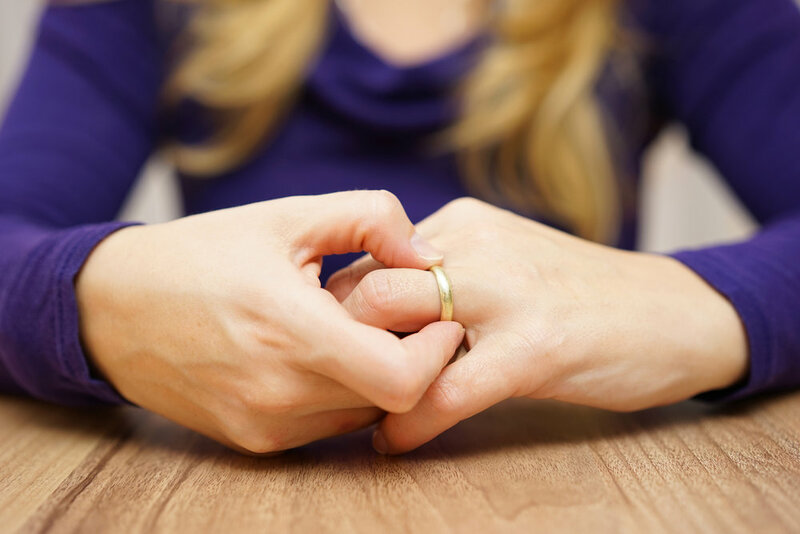 One issue that can affect women of any age is divorce. When Prince Charming turns out to be more toad than prince, many women feel unprepared to manage finances on their own. While nobody wants to assume they’ll wind up getting divorced or widowed at an early age, the fact remains that you need to take personal responsibility for making sure you have a comfortable retirement. With a bit of planning, it shouldn’t be too hard. By saving more now, you’ll free up time during retirement to focus on the things that really matter, like showing your granddaughter what being a happy old lady is all about! So how much will you need to retire? That depends. A quick rule of thumb is you will need 80% of your pre-retirement income in order to live comfortably. For others you’ll need more — that is, if your idea of retirement involves more than shuffleboard and a rocking chair! How Do You Get the Best Price and Walk Away With More For Less? The best way to get the best price and walk away with more for less is by bargaining. Here are some top tips to help you get the best price! If you’re one of the millions of Americans planning to fly this holiday season, you’ll need to plan ahead. Here are some top tips to keep your holiday travel from busting your bank account. A recent study found that Americans put a smaller portion of their savings in stock market investments than people from some other countries. We think we're playing it safe by keeping the bulk of our money in cash instruments like low-interest earning CDs, Treasury bills and money market funds. But with interest rates ranging from 0.5% percent- 2.5 percent you can end up losing money. Inflation can eat away at those precious dollars and leave you living on less money than you started with. Inflation can be a confusing concept but it doesn’t have to be. Inflation is the overall general upward price movement of goods and services in an economy. As the cost of goods and services increase, the value of a dollar is going to fall because you won't be able to purchase as much with that dollar as you previously could. The annual rate of inflation has fluctuated greatly over the last half century, ranging from nearly zero inflation to 23 percent inflation, the Fed actively tries to maintain a specific rate of inflation, which is usually 2-3 percent but can vary depending on circumstances. With the rising cost of college, many parents consider college tuition a luxury they cannot afford. There are a variety of options for parents to put a child through college. If you don’t have an emergency fund, it’s time to get serious about building one. An energency fund helps you to sock away money that you might need for a rainy day. Are you trying to make up for lost time with your savings? Here are a couple strategies that can help you get back on track and get money working for you! Make saving a habit not only for you, but for every member of the family including children. Check out these fantastic money-saving products for your child. It’s halfway through the year and it’s time to make some changes! If you are REALLY serious about saving money and are willing to make a few changes in your spending habits, then read on! One of the easiest ways to get higher interest rates on your checking and savings is to do your banking online. Now that spring has officially sprung, it's time to start thinking about how we can learn about cleaning out our money closet and find ways to spruce up savings! 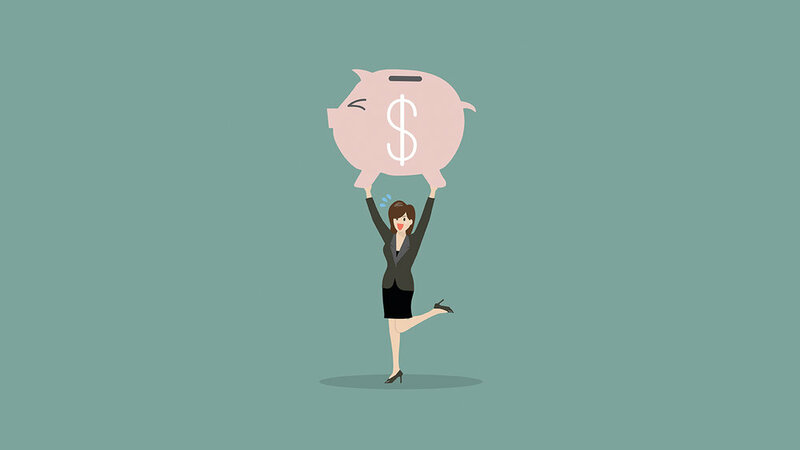 Female financial advisor and women + money expert Manisha Thakor shares 5 common ways in which she has seen savings strategies lead to overspending. One thing that I see many women struggle with as a personal finance coach is that they have trouble saving money on a consistent basis. Sure, they may put some money aside when they receive a lump sum, but making it a regular habit is a bit trickier. It seems there’s always something that comes up at the end of the month that makes saving difficult. One way to help you save on a more consistent basis is to get crystal clear on where the money will be spent once you've reached the goal. Tell me if this sounds like you: You know you “should” get your finances in order and that you “should” be saving more. You “should” spend less money. You “should” now where it goes…etc. And because you don’t feel like you know where it goes, or that you’re saving enough you feel guilty, right? Believe it or not, SHOULD is a horrible motivator. It will not produce long-term results. "Shoulds" make you feel guilty, angry and resentful and ultimately will force you to quit. Instead, I invite you to stop “shoulding” all over yourself and create a Big Savings Goal that really resonates with who you are! 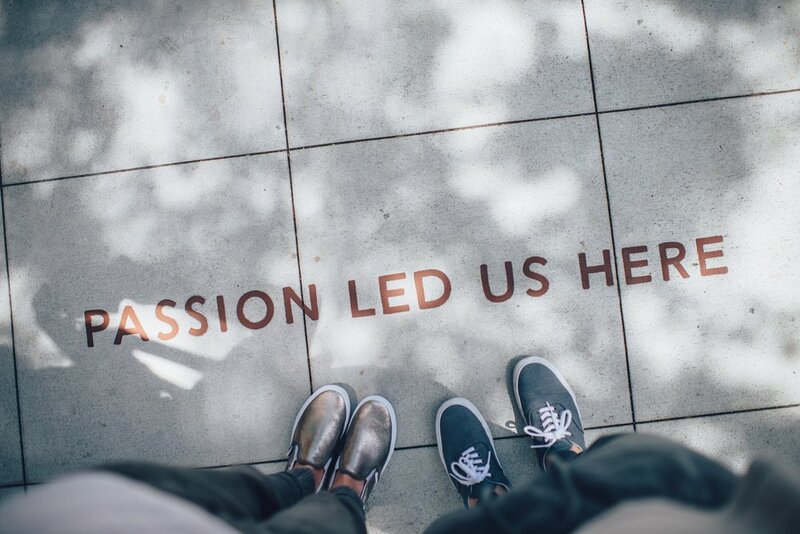 One that connects with your core values. This is the key to financial success. The #1 reason why women don’t save, or they don’t track what they spend, or budget properly is because they aren't specific enough about WHY they are doing these things. Before you start saving ask yourself: What is this money for? And WHY does it matter to me? Before you start to create a budget ask yourself: What’s the budget going to help me to do? WHY does it matter to me? Before you start to dig yourself out of debt ask yourself: What will being debt free help me to do? WHY does it matter to me? So here is the process I share with my private clients when they’re looking to stick to a savings program long term, but are having trouble sticking to it. What is the true cost of not reaching this Big Savings Goal? Here’s a coaching tip: We are all wired to keep things comfortable and stay the same. So, in order to make changes in this area, we’ve got to raise the stakes! Get REALLY honest with yourself about what will happen and how you feel if you take NO action on this today. Fights with relatives, partners, spouses? The feeling of not getting ahead? Staying stuck in your job forever? Not being able to travel or have new experiences? Not being able to date or get married because of the shame around money? Once you are crystal clear on what the money will be used for in the future, you’ll be better able to stick with it long term. When faced with a tempting situation to “dip into the piggy bank” you can quickly ask yourself if the short term use is more important than the long-term goal that really matters to you. When you are crystal clear and what the money will be used for, how the money connects to your core values and what the cost of not taking action on this goal is, you have a powerful recipe for change. Jillian Beirne Davi is a Financial Turnaround expert and the founder of Abundant Finances, a service that helps you get yourself out of debt and start amassing abundant savings in record time (without deprivation or eating cat food for dinner). After digging herself out of $30,000 in debt and saving tens of thousands of dollars, she decided to share her strategies with others who struggle in this area. Turns out: They work! The Abundant Finances community continues to grow with conscious women who are committed to making RADICAL changes in their financial lives. For more helpful money strategies to turn your finances around, visit http://www.AbundantFinances.com and sign up for the high-content, high value FREE newsletter today! My husband Jon’s grandparents lived right around the corner from him while he was growing up, and I was lucky to have met Jon while they were still alive. During the early years of my relationship with Jon, it was a form of entertainment to go to his grandparents’ house and have them show us their collections. This was not your average every day collecting. This was extreme collecting. Salt and pepper shakers. Shot glasses. Drop crystals. Little figurines. Beer mugs. Dolls. China. Linens. You name it, they had it -- or 10 of it. After they passed away, I helped my mother-in-law Eileen clear out their house. It was an activity that I thoroughly enjoyed, not the least of which because I was the beneficiary of many lovely items from among their collections. I had just bought my townhouse, and was able to completely furnish it with items from their home. And I mean completely. There’s no shortage of vases, cake plates, china cabinets, small ornate boxes, framed photos, or office supplies from the 50s in my house. When Eileen and I would go through a particular collection such as linens, we would empty a box and both choose enough linens to supply our dinner parties for the next 5 years without ever having to iron a tablecloth. Then we would move onto the next box and what did we find? – yep, you guessed it – more linens. While I did admire their fantastic collections, I was also dazed by the enormity of it all. Besides valuables, they had more screws, cotton balls, eye shadow, light bulbs, embroidery thread and tea bags than they could ever consume in their lifetime (or mine, for that matter). Their Depression era upbringing drove them to save anything and everything that might be useful, whether or not they actually had a use for it at the time. Abundance is a flow of energy. In fact, the word “affluence” derives from the Latin “to flow towards.” The confusing part is what happens to that flow of energy once it reaches us. Our instinct, born of 10,000 years of being hunter/gatherers, is to save what we gather for our ultimate survival. However, as a modern society, like Jon’s grandparents, we have taken this to the extreme, whereby we gauge our abundance by the amount of money or material possessions that we have accumulated. Imagine abundance as a closet. Imagine if in all the years you’ve been buying clothes you never got rid of anything. In the closet are clothes from every era of your life – college, your single dating life, your wedding dress, maternity clothes, wool suits you bought when you were promoted, long flowy skirts that have gone out of style, shoes with worn down heels, running shoes, winter sweaters, t-shirts, and on and on. If over the years you’ve never let any of them go, not only would the closet be stuffed to the gills, but the majority of what is in the closet would no longer be useful to you. When you go in to get dressed, you’d have to wade through piles of useless items to get to what you want. So what about saving money for financial security? I believe it in wholeheartedly. Saving for a purpose like living your elder years worry free is a worthy pursuit and makes a lot of sense. The statistics about elderly people living in poverty are heartbreaking. On the converse side, I love that bumper sticker seen on the back of an RV on the highway: I’m spending my children’s inheritance. Save for a purpose, and use whatever you’ve saved for that purpose when the time comes. Liz Wolfe has been presenting in front of groups since she was a child living on a sheep farm in Western Pennsylvania, when her family would participate in local festivals doing shearing and spinning demonstrations. Growing up money “poor” but resource “rich” on the farm supplied her with a wonderful foundation to learn about the abundance the universe provides. She gave up the farm life when she moved to NYC in 1987. Since then she has built a successful business with her husband, Jon, which focuses on helping companies and individuals realize their full potential. She has been leading trainings for 20 years. Liz Wolfe has lead trainings professionally for over 20 years. She is originally from Western Pennsylvania where she grew up on a sheep farm. She began her public speaking career as a child, doing spinning and weaving demos at local festivals with her family. In her formative years, she was money poor but resource rich. Her days on the farm supplied her with a wonderful foundation to learn about the abundance of the universe. She came to New York City in 1987. Since then she has created a successful business with her husband, Jon, that focuses on helping companies and individuals realize their full potential. US News & World Report senior editor and personal finance columnist, Kim Palmer, has written an excellent new book for young professionals: GENERATION EARN. Kim was kind enough to share her thoughts both on the writing of the book and to highlight "5 Money Tips for Today's Young Professionals." What motivated you to write GENERATION EARN? I felt frustrated with the constant focus on how bad our generation is with money. We’re told that we have too much debt and are clueless about finances, but the fact is, we’ve learned a lot from the recession. We were forced to learn how dangerous debt can be and how important it is to save and understand where your money is. As a result, we probably know more about money than any previous generation did at our age. I wanted to help people with their new goals-- financial security, supporting growing families, and giving back in meaningful way. What has surprised you the most as you've talked to people about GENERATION EARN? That there has been a huge shift in how young people think about money. We care more about having money in the bank than impressing people with big houses or fancy cars. Financial security is the new measure of success. But that doesn’t mean we’re greedy – in fact, the focus on giving back is a hallmark of our generation. We also want to make sure we’re spending our money in ways that support the bigger causes, from environmentalism to social justice, that we believe in. What do you know today that you wish you had known 5 years ago about personal finance? That the only way to get ahead financially is to save at least one-third of your income. It sounds impossible, and sometimes it is. But if you don’t start saving that much for your emergency fund, goals, and retirement in your twenties and thirties, it’s just going to get harder later, when you have even more responsibilities. Sometimes that means living in a tiny apartment for a lot longer than you ever thought you would. Save one-third of your income. Yes, saving such a big chunk of money each month means sacrificing some comforts and indulgences for the short-term, but it’s the only way to get closer to that ultimate goal of financial security. Don’t scrimp on career-related investments. There’s one area where it’s okay to be a spendaholic, and that’s when it comes to investing in your future earning power. The category includes not only education expenses, but also voice lessons for an aspiring podcaster, how-to books for those with potentially lucrative hobbies, and even a new wardrobe for office workers who need to impress the higher-ups. Pay off all but your cheapest student loans early. Student loans that carry a 5 or 6 percent interest rate (or higher) are costing you much more than your savings can earn in our current low-interest rate environment. That means paying off a chunk of your loans will immediately start saving you more money than you could if you continue to make those slow and steady monthly payments. Don’t wait to invest until you have “extra money. "Waiting to start a retirement account until you feel like you can afford it might mean you can never retire. Don’t wait to open up a 401(k) account if your workplace offers it, even if you start by contributing just 2 percent of your salary. Give back – on your own terms. Use Charity Navigator to check up on the background of your chosen organization before donating any money to make sure they’re going to use the money the way you want them to. What about you - what advice do you have for today's young professionals? It can be difficult to keep up with everything financial in our lives. Here are the top five financial priorities that should be important in your life. Leaving the organic produce store yesterday, a flier on the revolving glass door caught my eye. It was entitled “HEALTH CHECKUP: Do You Have the Supplement Basics Covered?” and listed five types of supplements - multivitamins, enzymes, probiotics, fatty acids, and green vegetables - as the foundations for good health. Not only is it nice to know that I take all the necessary measures to ensure my physical well-being, this also translates very well to financial health. Do you have the personal finance basics covered? Do you make more than you spend? Are you able to pay all your bills in full, on time, or do you need to make more and/or spend less? Do you have an emergency fund? Do you have enough money to cover six months worth of expenses, and is this money easily accessible? Are you in the black? Do you pay off your credit cards in full every month? If not, draft a plan to get rid of those balances! Have you thought about retirement? Do you have a 401(k), Roth IRA or similar, and do you contribute to it regularly? Have you protected yourself against disaster? Do you have the insurance coverage you need, including medical, disability and homeowner’s insurance? Yes on all? Congratulations! Chances are you’re in great financial health.